EzTrade provides an intuitive trading platform accessible from any device for our traders. Our product enhancements continue to put emphasis on automation meeting personalization. Learn more about our products for novice to seasoned traders interested in US Equity and Options. For stock traders we offer the Equity Trading Platform. For options traders we combine the equity and options platforms into one package. 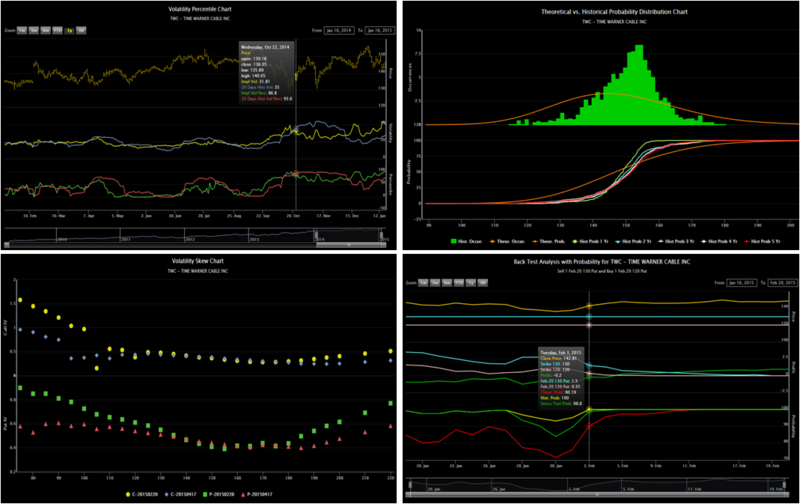 Our platform allows traders to create their portfolios and monitor the performance over time. Ez Technical Analysis merges two analytical capabilities, trend and probability analysis, into a powerful, predictive product. Recent Enhancement: Gain a competitive advantage in both stock and options trading through achieving visibility into high probability opportunities. 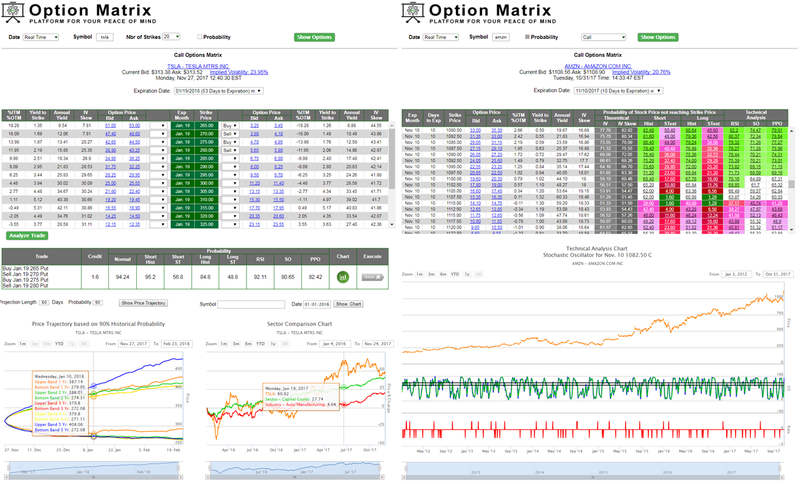 Utilize our new approach to options trading, Probability Arbitrage. 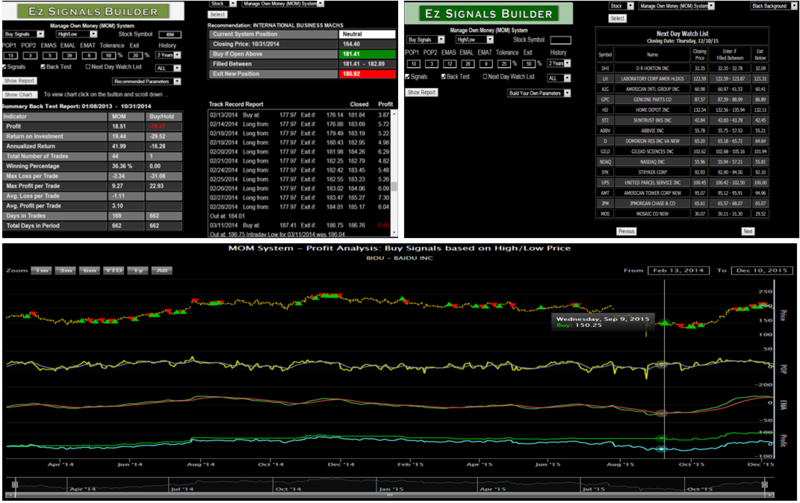 Ez Signals Builder provides automation through an A.I. trading system. Our traders can input parameters to personalize their trading system and immediately back test it. Once the platform is customized to meet the trader's objective, it can be used to receive exact signals to place or exit trades. Ez Trade Builder is designed to minimize the time dedicated to searching for the "right trade." 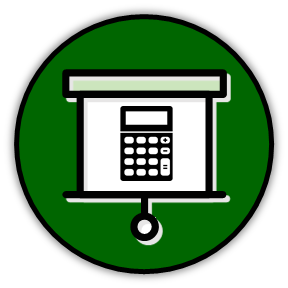 This platform allows our traders to create their own trade identification system. Options traders gain an advantage through our new methodologies, yet take control by selecting distinctive filtering criteria that pertain specifically to option trading. Ez Trade Builder utilizes Probability Arbitrage, in pursuance of allowing our traders to have a more predictive method and greater accuracy in anticipating stock pricing behavior. Our charts help visualize price, probability, and expected profit/loss behavior of trades from inception to expiration. This depiction of price movement allows for superior risk management and control of your trades. 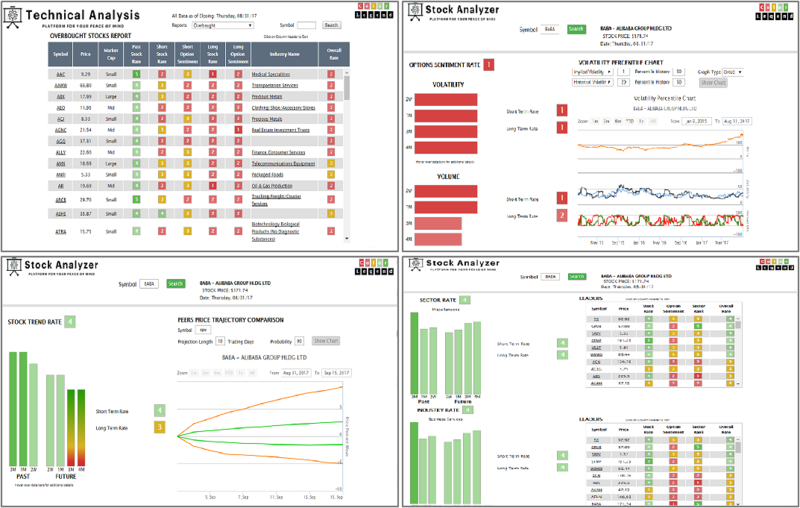 With Ez Trade Builder, comprehensive back testing is available using a "Time Machine." Traders select a day in history using our exhaustive day-by-day options database. With the date selected, our traders can test their strategy. in pursuance of allowing our traders to have a more predictive method and greater accuracy in anticipating stock pricing behavior. Ez Trading Ideas is now also part of the Ez Trade Builder. This give users capability to Build Your Own Trading System, as well as have access to our Trading Ideas, built based on our proprietary filtering criteria. Ez Option Matrix combines familiar option chain presentation with unique information and features that are not available in any other software. By utilizing completely new approach in calculating probability of success our customers are getting competitive advantage in option and underlying trading. New methodology of conversion Technical Analysis trend following indicators such as RSI, SO or PPO into probability indicators is used in overall probability analysis of the underlying future behavior and option trading. 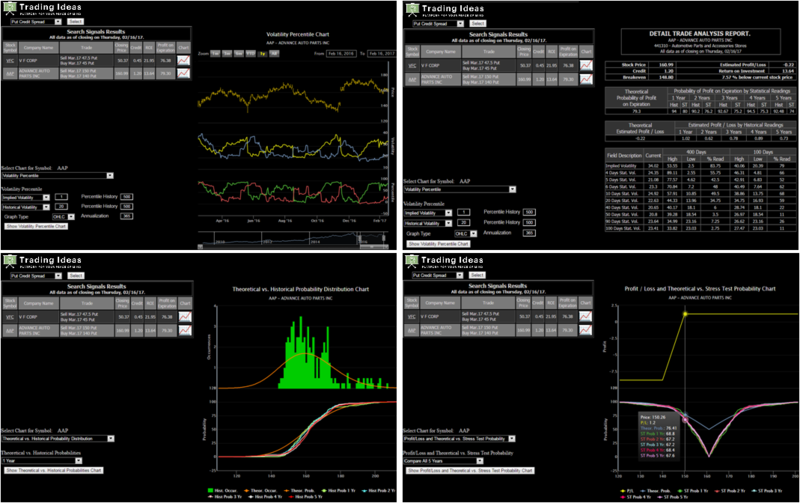 Bringing together current methodology that is based on assumption of Normal Distribution of stock prices, our unique Historical and Stress Test Probabilities calculations and conversion of Technical Analysis indicators to the same unit of measurements - Probability, allows more comprehensive probability analysis of the trades. This multipronged approach in calculating probability allows more comprehensive probability analysis of the trades; sets better expectation of the potential results and helps determine the "action point" in the risk management.